Myth: It’s easy to get scholarships. Nope. Winning takes time and effort, like most good things in life—but it is efficient. 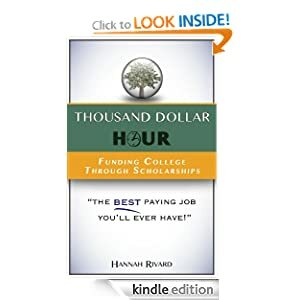 Meaning, applying for scholarships is time consuming, but it's worth the time. This is unlike many things in life that are both time consuming and not worth the time! Telling the difference between the two and knowing what is truly efficient and worth your time is a valuable lesson. Scholarships teach you how to make those distinctions, which is a skill that will help you for the rest of your life!